Choose from a Thursday to Sunday or a Friday to Monday to extend your weekend and make use of our specials below. 1 x Voucher to the value of $20.00 at be redeemed at Onda FoodStore. Available from 1st May to 31st August 2019 (excludes school and public holidays). 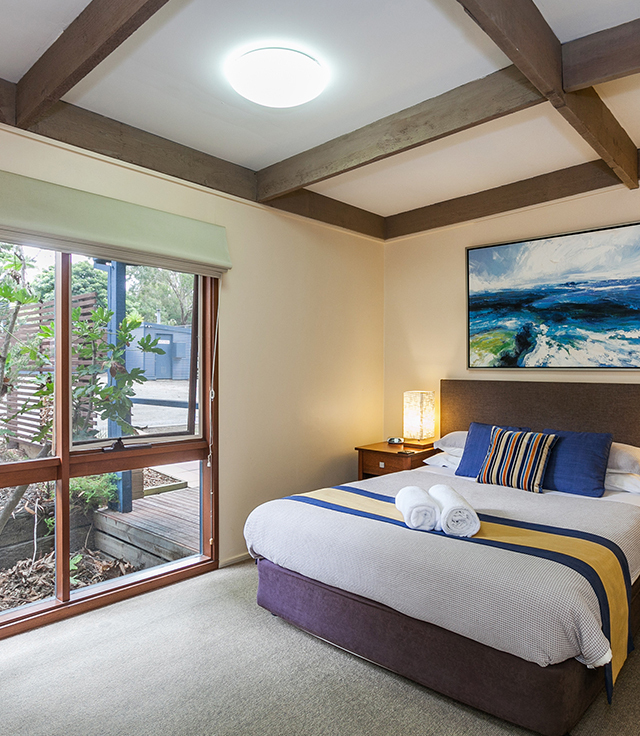 Our midweek getaway allows you to stay and relax that extra day, to enjoy the beautiful relaxing environment here at Aireys Inlet Getaway Resort and the spectacular beauty of The Great Ocean Road. 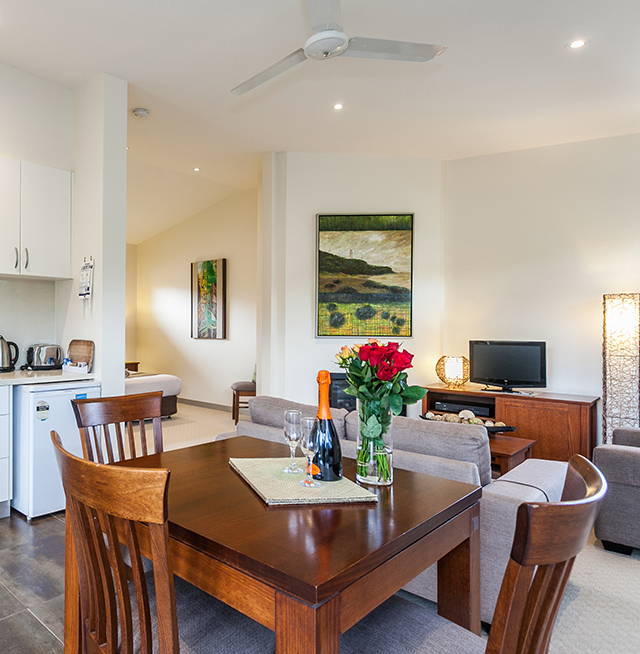 Our midweek group getaway allows you to book any accommodation Sunday through to Thursday and enjoy all that the Aireys Inlet Getaway Resort has to offer. 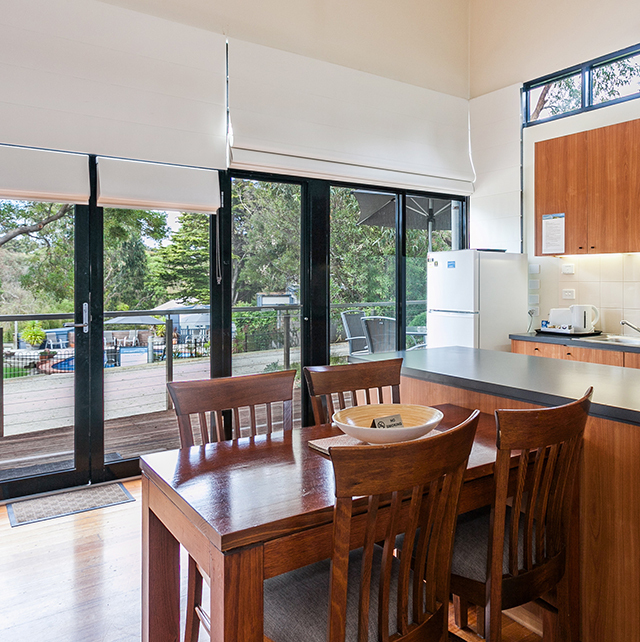 All accommodation is fully self-contained, but eateries are all within walking distance! Split Point Lighthouse Tours, Horse Riding, Mountain Bike Riding, Canoeing, massages etc can all be arranged (in advance) for the active traveller but plenty of notice is needed to organise this. This offer is perfect for mothers groups, bush walking clubs, art groups, car clubs, or just friends and family wanting to ‘getaway’. Book a week between the dates of the 1st May till the 31st August 2018 (excludes school and public holidays) and receive your 6th night half price and your 7th night free plus a complimentary late checkout. (Speak to our manager Sue for more information). Rate for this special are Low Season Tariff. Check web site for rates of each style of Villa accommodation. Any guest that has stayed here during the months of winter (1st May to 31st Aug), more than 2 times, will receive a further 15% off until 31st August, when mentioning this add.